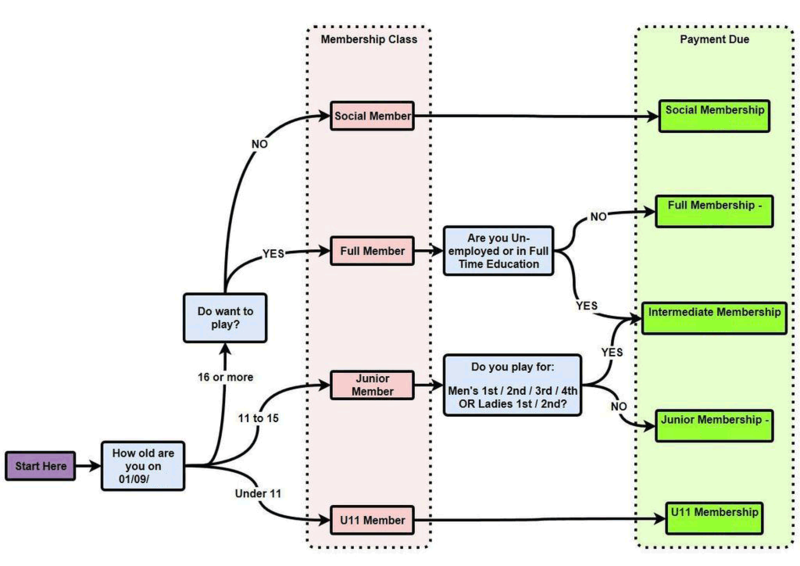 If you are unsure which membership is for you this chart might be of use. Memberships are due by the 1st September each year; this ensures that you are covered by the clubs insurance before the new season begins. Membership can be paid directly through Team App, either on your mobile or via the Team App website. Go to the store page within the app and choose your membership type; payment can be made by credit/debit card. Membership fees will be due by September 1st and for those of you who would like a simple way of spreading the cost we are again running the Direct Debit scheme. You can sign up from today, paying over 8 months and keeping the 2018/19 rate. Simply click the link below to be taken to the GoCardless page where you can sign up. I’ve just done it and it took less than 1 minute. Last year there was some confusion with the scheme being available to start right up to September. Memberships are due in full by September 1st and as such the DD scheme should be complete by then. As we have not been able to set the scheme up earlier we have agreed the payment programme of 8 instalments can run until November but it must be started in the next 2 weeks. Sign up now to take advantage of this season’s membership rates and spread the cost! If you have any questions about membership please speak to your captain in the first instance or contact our Membership Secretary, Steve Norton.